Description: Zan helps the Amazons defeat two gangsters who wished to take over a sacred gold treasure from the womens tribe. 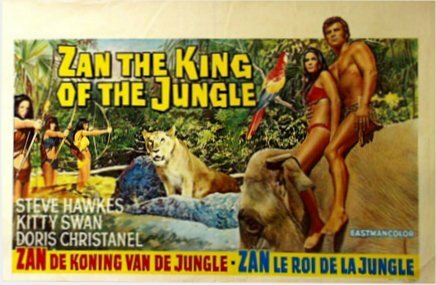 There are extensive views of the Central America jungle, and several tough battles between the young Amazons and the evil pirates. Tagged 1960s, English, Spain. Bookmark the permalink. Italian (Tar)Zan looks promising! One IMDb’s reviewer complained about the level of violence, which ironically is a strong recommendation in my book!